The props for the musical were all made by the students. 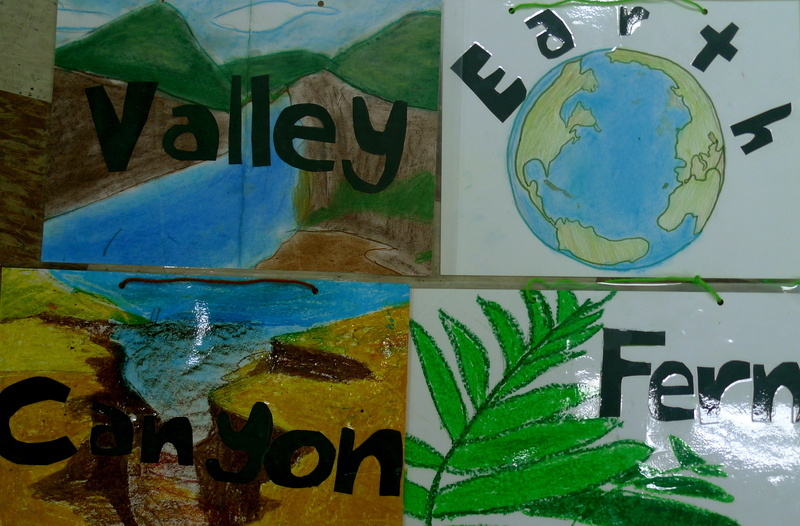 We had the students make signs that said the name of the part and a picture of it. We worked with the art teacher, Rachel. She had them make the signs and our one big prop (a mountain) for the stage. 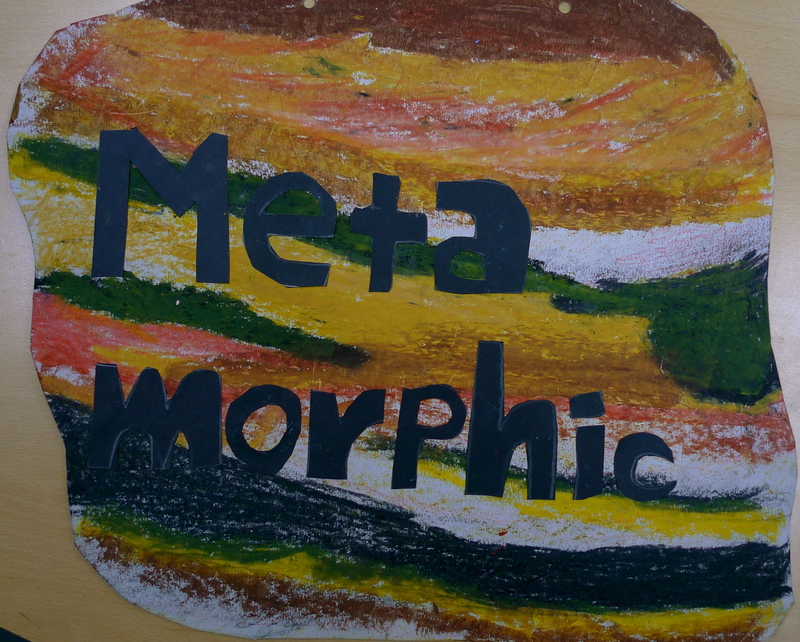 The art teacher had them use different mediums for the signs. Some were done with water colors, color pencils or thick crayons. 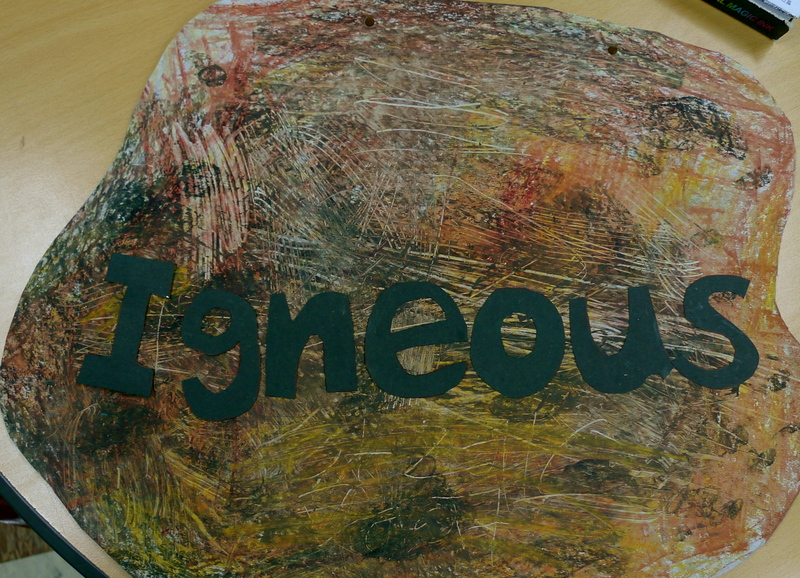 The students then used black paper to cut out the words and glued them on top. Afterwards, I laminated them and hole-punched them on the top and put a string through it. Now, the students could hang them around their necks during the show. 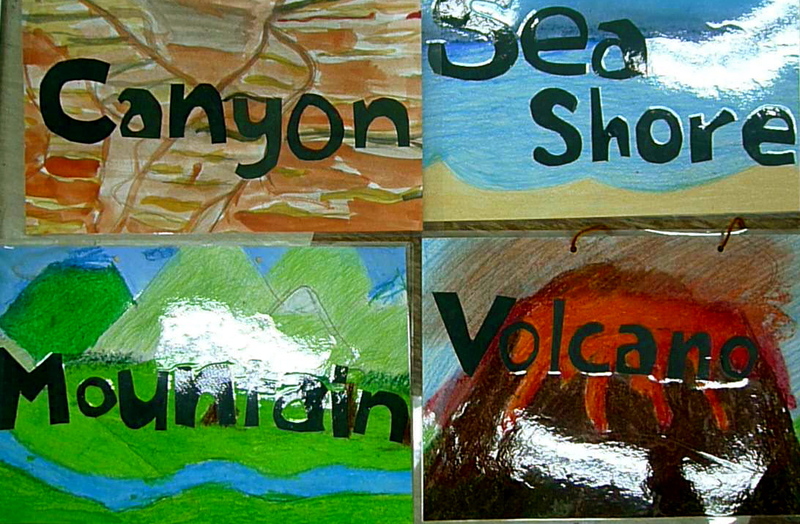 For the rocks (igneous, metamorphic and sedimentary), they cut out signs in the shape of rocks and colored them. They came out really well too! Thank you Ms. Rachel for all your help! We couldn’t have done it without you. We ❤ art.